I finished reading Sankhya Samhita's debut novel 'Revelations of an Imperfect Life' over a long distance flight and a couple of tram rides in Vienna; the book was an ideal travel companion for me, solely for the reason that the setting was in Tezpur, my home town. 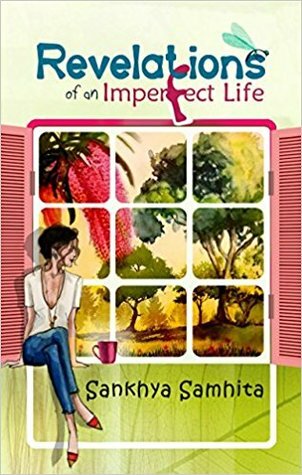 I had known Sankhya when she started writing for an online magazine of which I was a small part in the past, I read her blog for a couple of a years and then stopped; but I kept on recommending her blog to others who liked to read. I knew Sankhya will eventually write a book and that I will read it when she does. So, it was a pleasant surprise when I saw her Facebook timeline filled with an upcoming book release, I was happy. So, it was with some expectation that I picked up the book to read. I had reviewed Ankush Saikia's Dead Meat a while back. This review is about the sequel (in some sense) to that book. The main character is retained, Arjun Arora, a detective operating on his own (with help from many people on the side) with a troubled past, handling many relationships and juggling his cases with what comes across as very human. Unlike, the traditional detective novels where the detective gets a flash of an insight with some very obscure connection to the case, Arora has to struggle most of the time with his leads. But eventually everything ties up well with his case. The credit for writing a very believable detective novel goes to Ankush, and I wish to see more of Arora from the writer. This is one book that will break through your defences and arouse emotions you never knew you could experience. Assorted in 5 divisions, this collection of 51 poems recounts a young woman’s tryst with love and loss. Each section deals with a separate set of emotions, as poetess Mary McCormack Deka weaves tender verses about the feelings you encounter when you fall in love and when you fall out of it; and how you deal with the eventual heartbreak. Expect vivid imagery. Metaphors that you revel in. Wordplay that lingers on. It would be folly to name one poem as a favourite: each poem is a unique isle of treasures just waiting to be explored. Although you will be tempted to finish reading the poems in one sitting, I suggest you read one poem at a time, savour one emotion at a time. Replete with lines that strike a new chord every time you read them, the poems offer welcome respite from the heaviness in your stomach every time you think of all the love that went to waste. 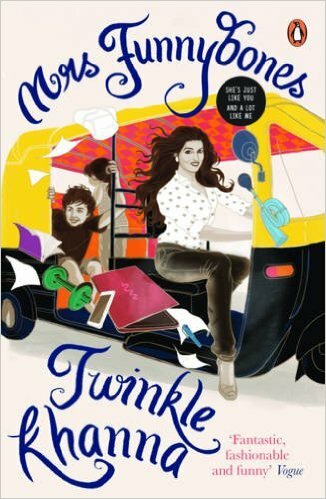 I had wanted to read Twinkle Khanna's book 'Mrs. Funnybones' ever since I came to know of its existence. After an excruciating wait of over a month for the book to be delivered (thanks to the slow Indian postal service) I finally got my hands on it. The reasons for wanting to read this book were two fold. Firstly, I had a little bit of a crush on Ms. Khanna when she was a Bollywood actress and secondly, I always enjoy wit and humour. Sadly, I was disappointed by the book. I have not been a fan of Amish Tripathi's writing style, although his first novel 'The Immortals of Meluha' did manage to catch my attention. I read the other books in his Shiva Trilogy partly because I wanted to know how he would treat the character of Shiva and partly because of a mild OCD. I was not very thrilled about his new series either: the Ram Chandra Series, but visiting India after 16 months and seeing his book peeping from all the bookshops at New Delhi Airport made me buy a copy. I recently finished reading it and I was disappointed to say the least. I had the pleasure of reading Andrew Kaufman's novella 'All My Friends are Superheroes' over two metro rides and a lazy Sunday evening in my office. The book is witty, short and fun. Tom is a normal guy surrounded by friends who are all superheroes. He falls in love and marries 'The Perfectionist', only problem is 'The Hypnotist', an ex of his wife hypnotized her into believing that Tom was not there. So he became invisible to her and the whole book is revoled around his efforts to become visible to his wife again.